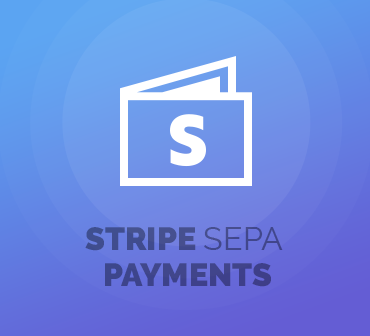 Stripe SEPA Payments For WHMCS will bolster your system with the Stripe payment gateway in order to let you accept one-time and recurring SEPA Direct Debit payments from your customers. 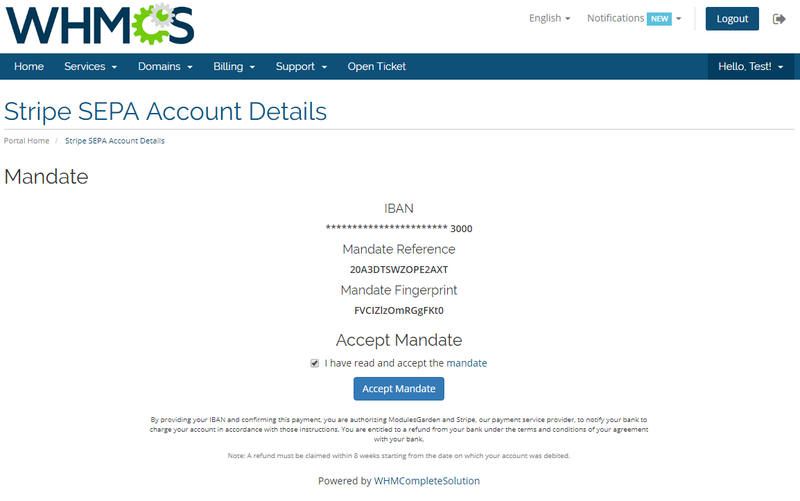 Given the automated mechanism of currency conversion, you will be free to debit bank accounts located both within and outside the Single Euro Payments Area. 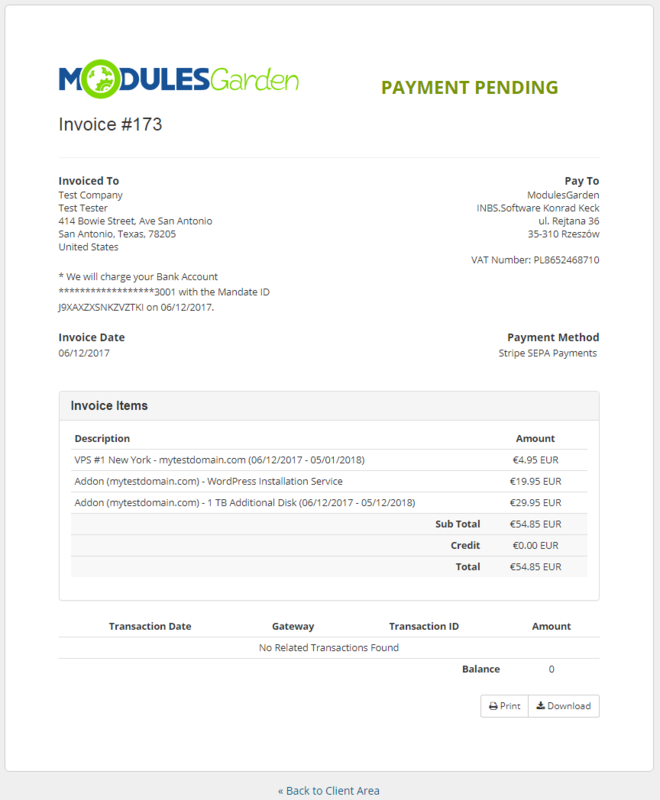 From providing you with the chance to safely collect all the information necessary to debit a customer bank account, to enabling your clients to accept the mandate and thereby authorize the funds transfer - the module offers every feature required in the flow of SEPA Direct Debit payment processing. 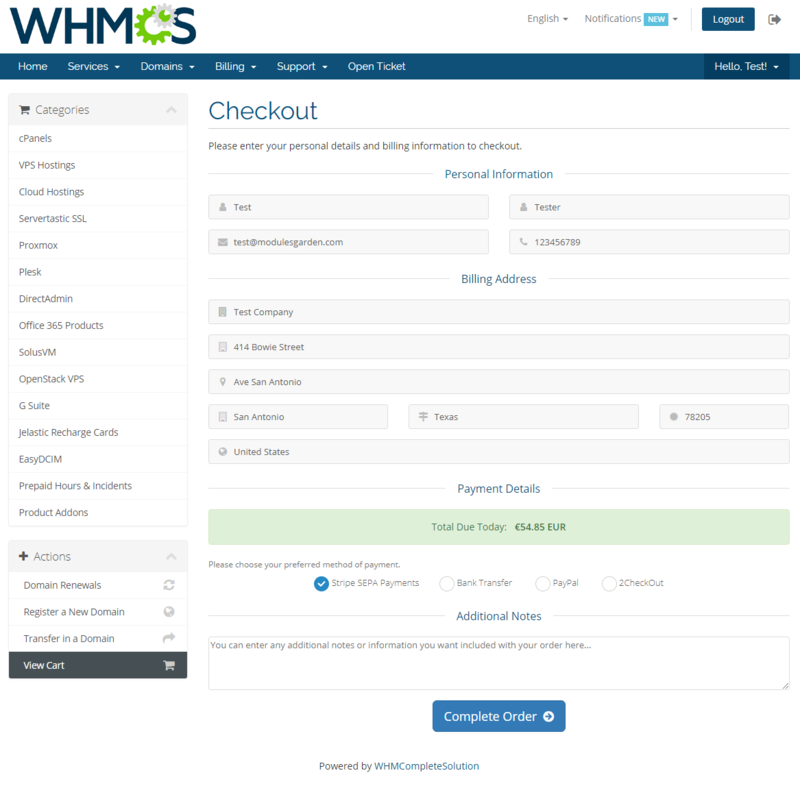 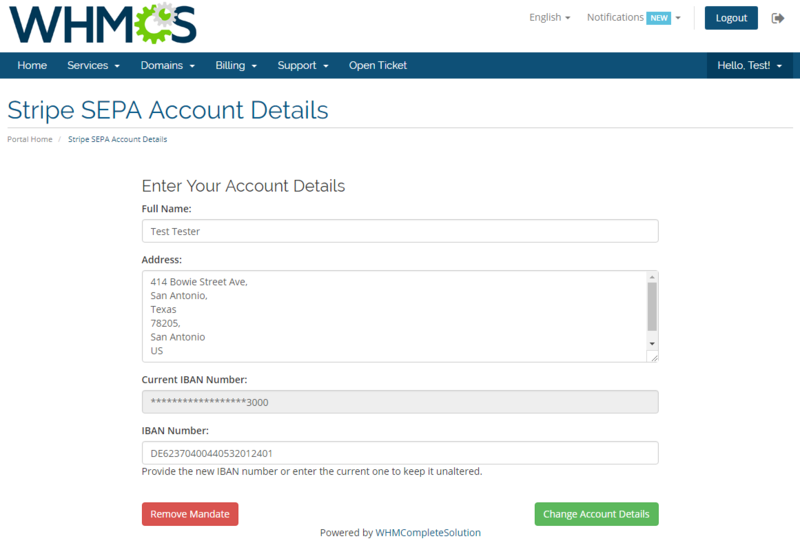 What is more, you will no longer need to leave your WHMCS in order to view any essential details, such as the status of a given invoice or the imposed charge, as well as make multiple attempts to capture the money, and issue refunds. 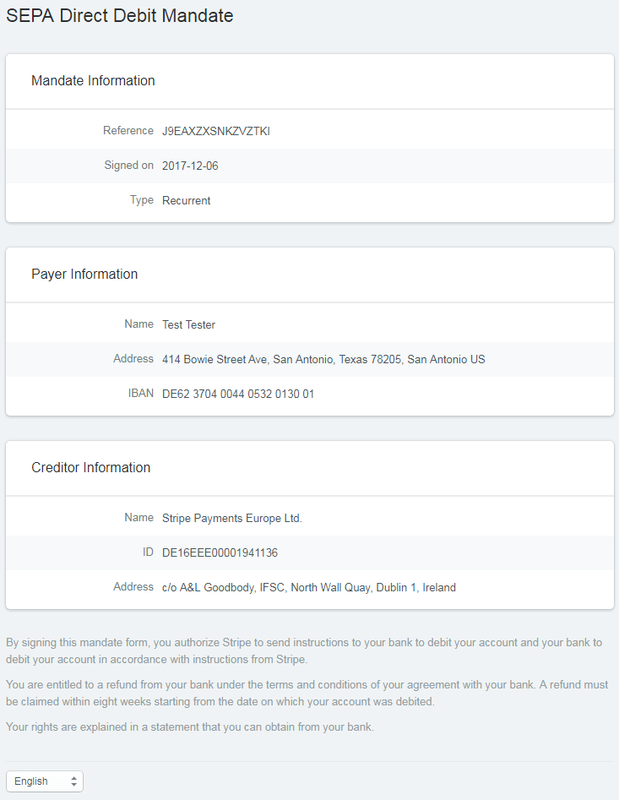 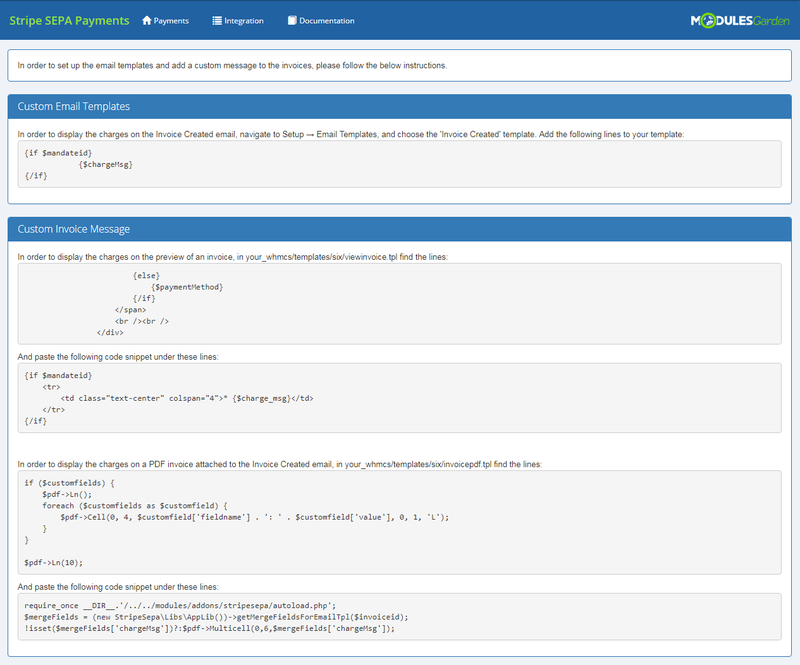 Take all the tedium attached to processing debit transactions and abstract it all behind Stripe SEPA Payments For WHMCS. 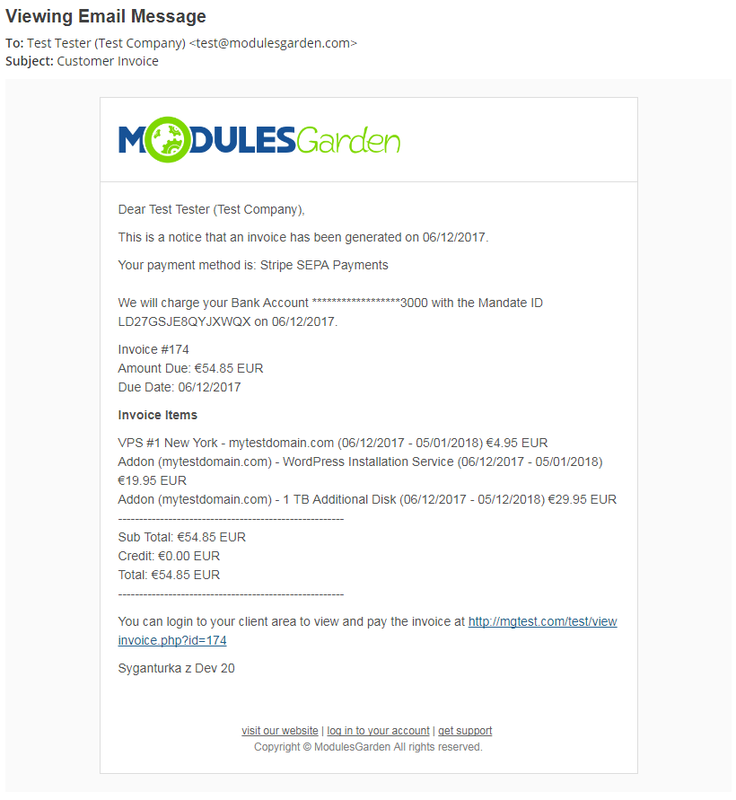 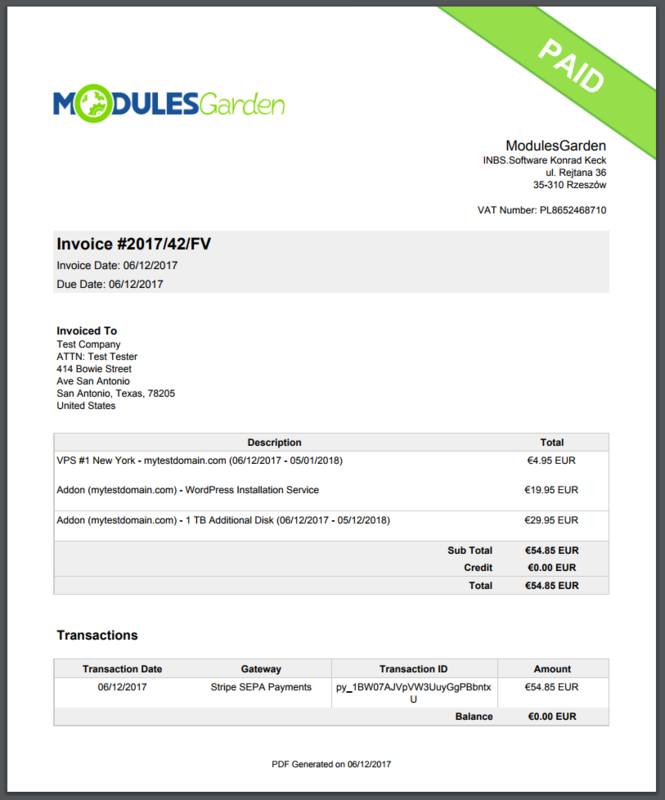 Order the module right off to deliver the kind of experience that blends the highest standards of Stripe and sublime customer service!